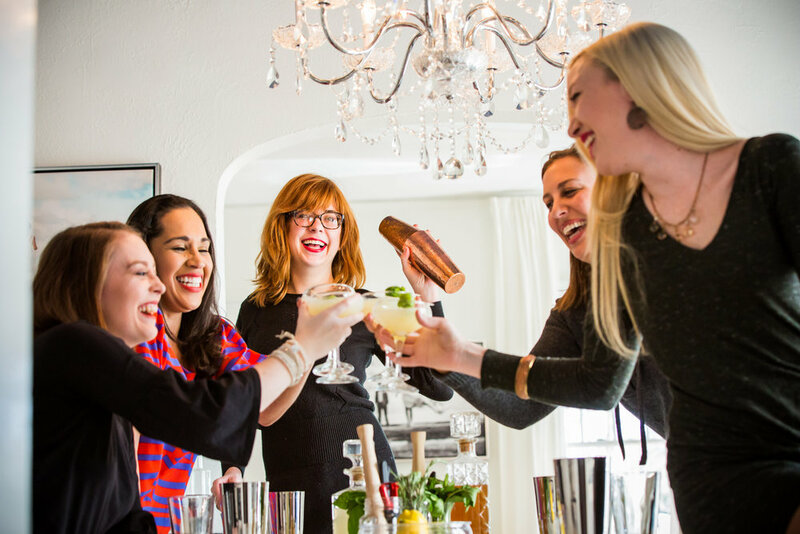 BOOK A COCKTAIL CLASS FOR YOUR NEXT PRIVATE EVENT! 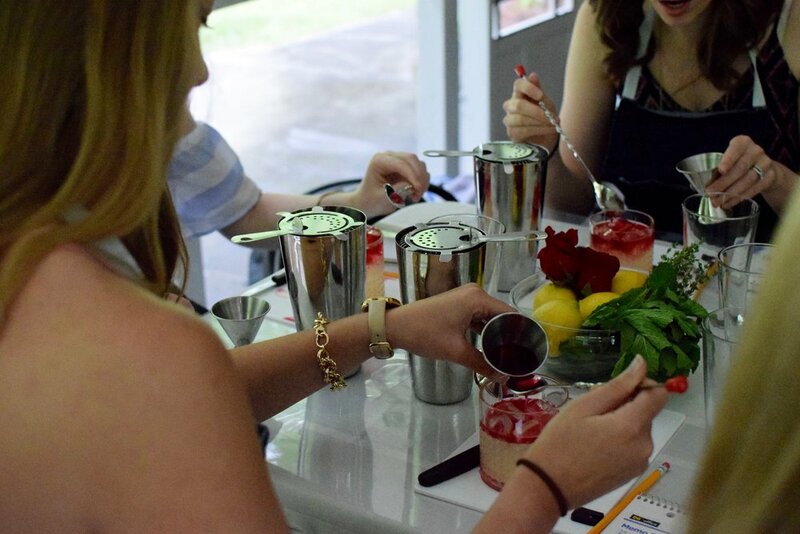 Interested in private mixology classes? Book us for an experience like no other. 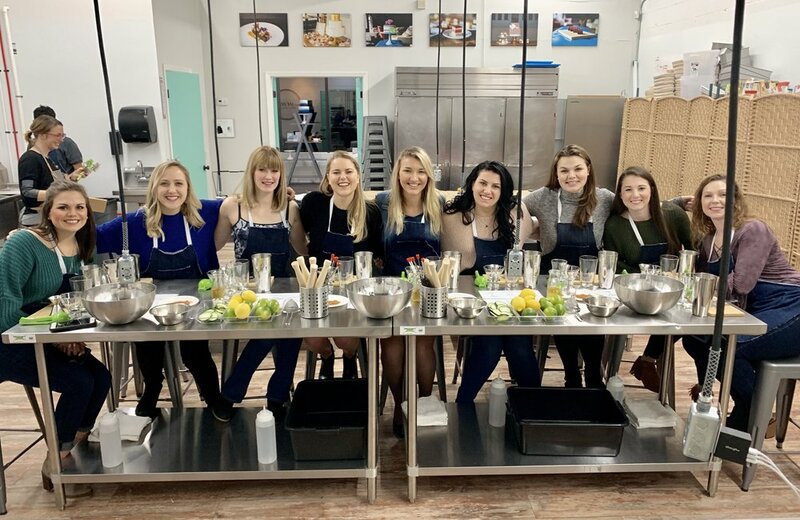 From corporate team building events to birthday and bachelorette parties, dinner parties or just ones enjoyed with friends and family, it's hard to beat a uniquely personalized session of cocktail classes? 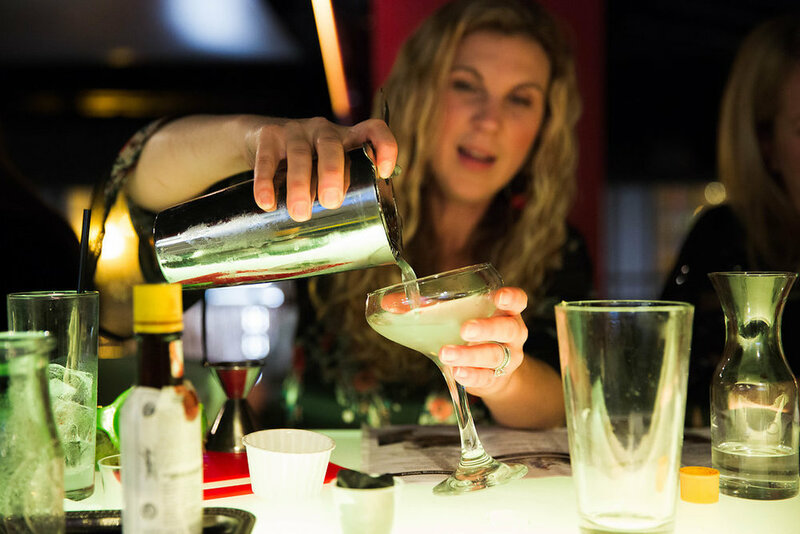 Our Cocktail Classes are the perfect way to get a party off to a fun start, an effective team building event, or that perfect date night idea with a difference. 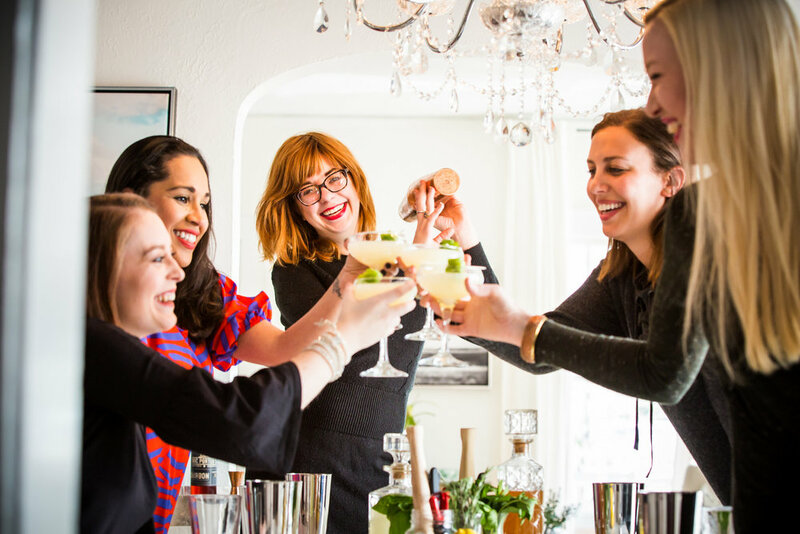 We offer tailored hands-on cocktail class experiences for groups from 6 to 25 people. 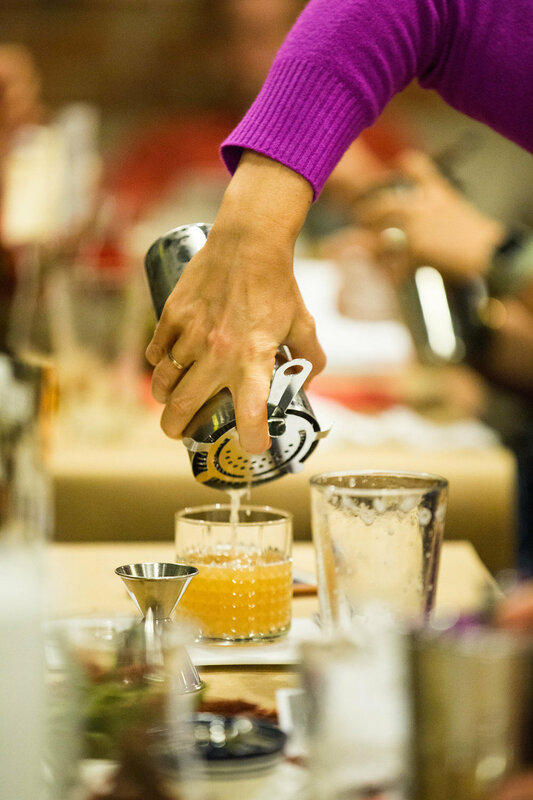 We are able to organize private mixology classes of all kinds. 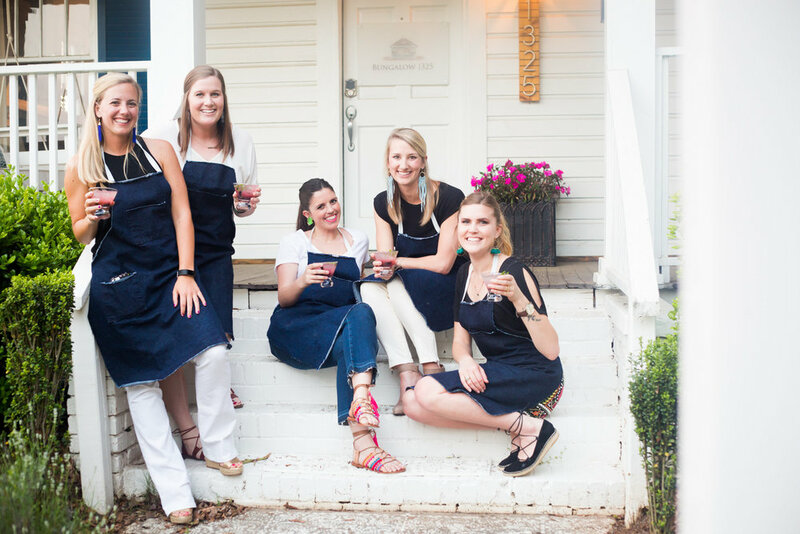 Join us in our cocktail studio conveniently located in the Cotswold area of Charlotte. A complimentary cheese and charcuterie platter is served upon arrival for groups of 10 or more. 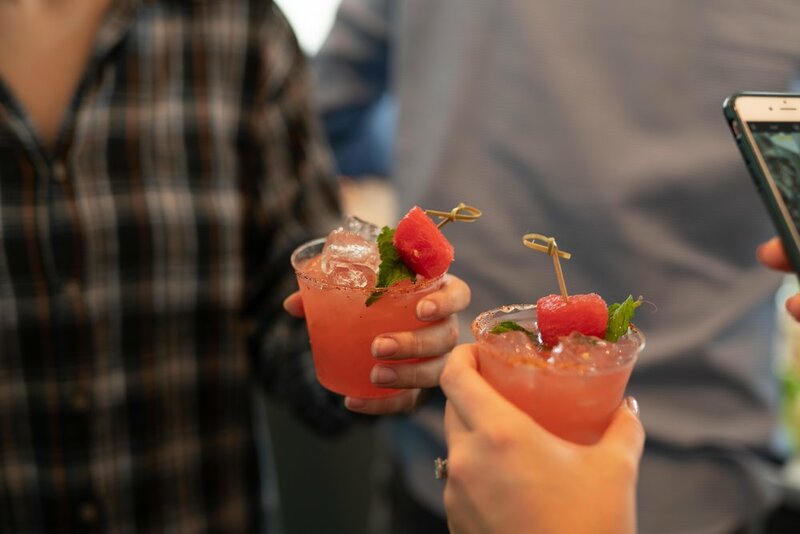 You are also welcome to have your class catered by an outside caterer and we will coordinate with you to create cocktails complimentary to the menu. 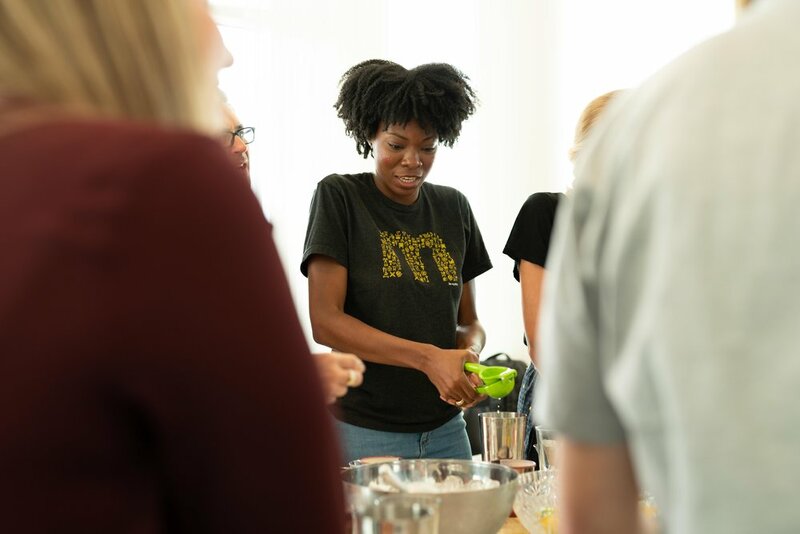 IN OUR FUN AND INTERACTIVE CLASSES YOU WILL MASTER ESSENTIAL COCKTAIL MAKING TECHNIQUES FOR THE ASPIRING BARTENDER. 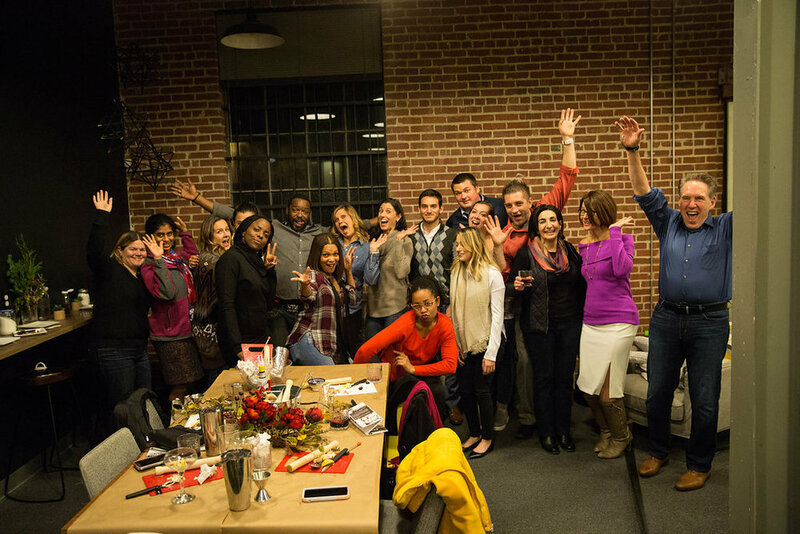 It’s social. It’s casual. It’s interactive. The elements of a well-made cocktail work like a team. Different spirits, liqueurs, sweeteners, and citrus combine to make one mouthwatering beverage. 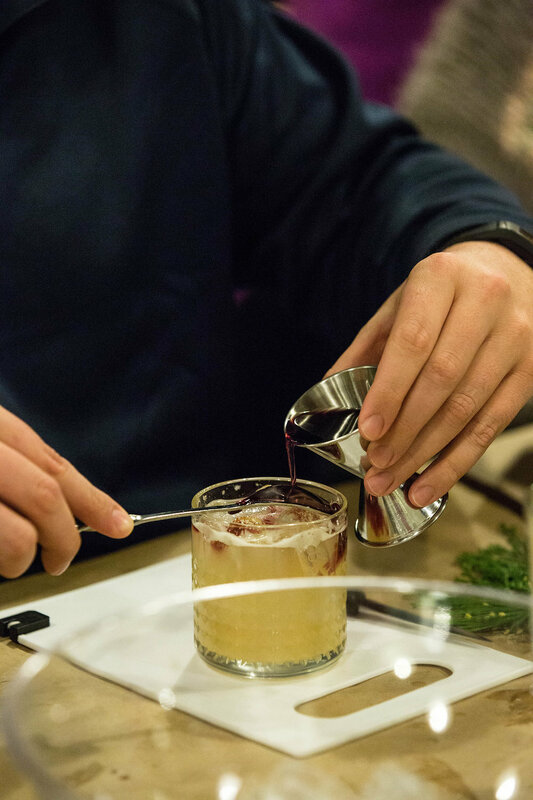 Understanding how the ingredients in a cocktail work harmoniously together have tremendous parallels when you consider why a cocktail tastes so delicious, and how the strengths of each team member combine to achieve your end goal. * Classes last approximately 2 hours and includes the instruction, making and consumption of 3 full-sized cocktails. Book a tequila masterclass with Casamigos Spirits Company, the tequila created by none other than George Clooney, Rande Gerber and Mike Meldman. Casamigos is known as one of the best super premium tequilas on the market and this very special evening will more than prove that. 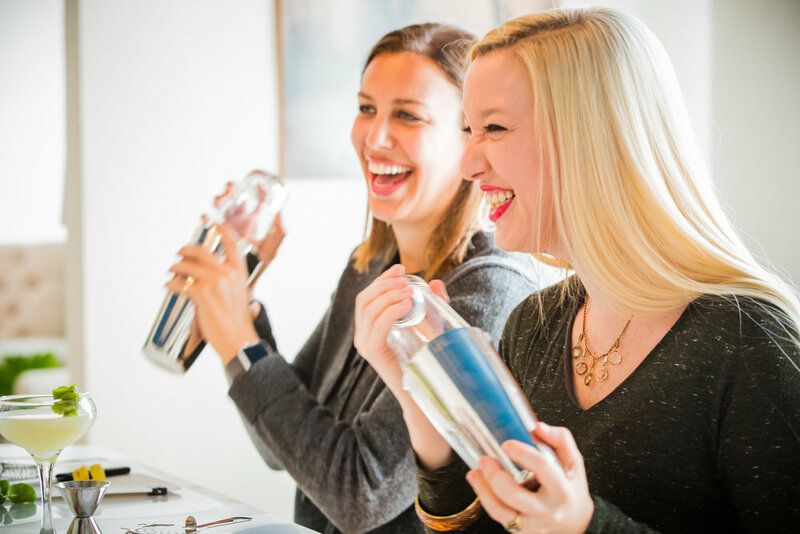 In this lively class, your team will learn and taste all 4 expressions of Casamigos while immersing themselves in the history and provenance of Casamigos Tequila and Mezcal from Casamigo’s Regional Sales Manager for North Carolina. 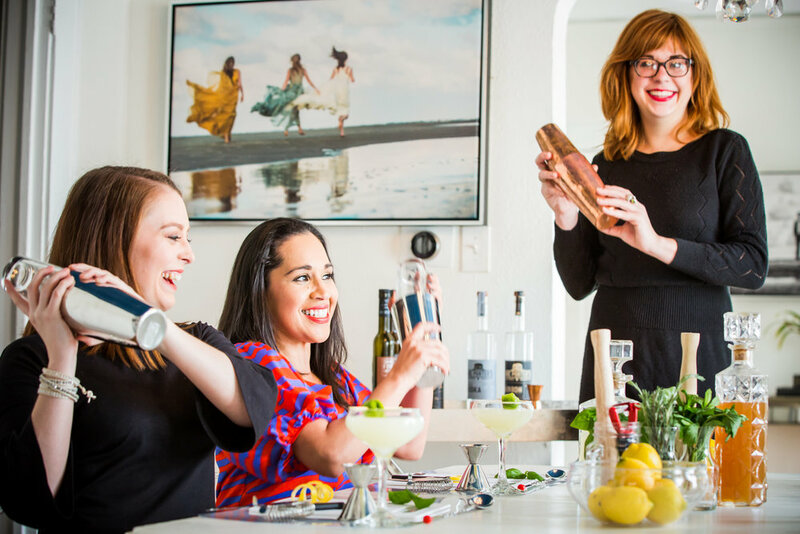 We will make 3 cocktails and flavored salts that your team members will be able to take home with them and end the experience by taking fun photos is our Casamigos photobooth.